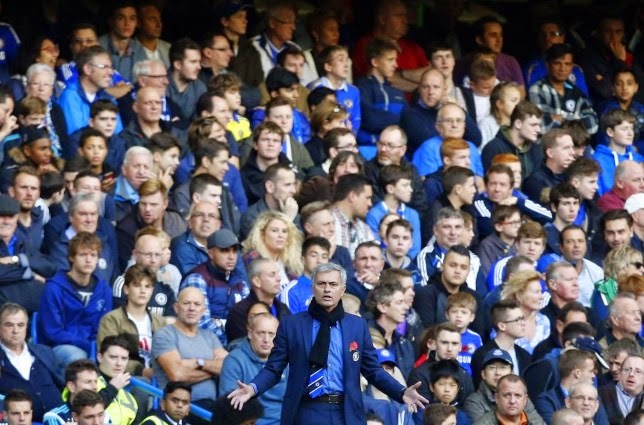 In recent days Chelsea FC bench-boss Jose Mourinho has complained about the atmosphere created by Chelsea supporters during home matches at Stamford Bridge. But the criticism was not welcomed by all Blues fans and the Portuguese manager had to quickly explain himself in front of the Chelsea faithful, saying that he only said what he did because he 'cares so much'. Perhaps comparing Chelsea's home atmosphere to that of a match held in an empty stadium is a bit much, but Mourinho has every right to critisize the home fans if he wants. Let's face it, Stamford Bridge is not the loudest in the English Premier League and while it's no Emirates (I apologize to all the Arsenal fans out there, but it's true) the atmosphere at the Bridge can get quite dull at times. Mourinho is probably just fed-up with having to travel to places like Britannia and realize that the fans there that have never seen much success can be a lot more enthusiastic than the ones he brought so much glory to. And where does Stamford Bridge rank when it comes to stadium atmosphere in the EPL? If we take just the top tier in England into account, there are at least 5-6 stadiums that are louder and more passionate than Chelsea's ground. As mentioned above, Stoke City's Britannia Stadium, Anfield, St. James' Park and White Hart Lane are just some that come to mind being a lot more 'electric' than the venue in South East London. And if we take into account stadiums from all across the leagues in the country, with places such as Elland Road and even Fratton Park a few years back, Stamford Bridge will fall right out of any sort of contention for being a loud home for a football club. There's also the fact that the Portuguese manager was able to win 6 major trophies while in charge of The Blues, and should be allowed to criticize the home fans if he chooses to do so when the atmosphere they create is not up to par. After all, they would sure critisize his management skills if their beloved club wasn't doing as well as it is.